Typical every day question and answers on storage related matters and issues from Storage Carlisle. 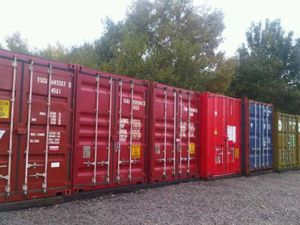 Q) Are your self storage shipping container units clean and dry? A) Yes, All the storage units are well maintained and kept to excellent condition designed to carry all manor of goods without any issues whatsoever. Q) Are shipping containers all the same grade of quality? A) We've a wide range of grades of units. Most of our units are now brand new units which are just fantastic for furniture. However, if your a builder, one of these won't be suitable for you and we will find you a builders grade unit instead. Q) Do you offer the option of insurance? A) Yes we do .... Ask at time of booking and we will provide you all the details in order for you to adequately insure your contents, but we don't insist you do this. Q) What sizes do you have? A) All sizes vary - we're talking 10 foot in length up to around 40 foot in length. Enough to store the contents of a typical three bed house if needs be. However, you really need to take a look to satisfy yourself on correct sizes. Q) What can I store? A) We allow you to store virtually anything as long as its legal and not prohibited. We won't allow certain high risk items such as quad bikes, trial bikes though, as well as flammable products or tires etc. Q) Are your storage units suitable for furniture? A) The storage units are suitable for virtually any use including domestic household furniture and traders and dealers are also welcomed. Q) Can general public and business make use of them? A) YES - public or business,traders and likewise - its open to anyone. Q) How long can I rent a unit for? A) Any time period, subject to pricing. Q) How do I go about booking something over the phone? A) As we can't guarantee we have anything available, please don't leave us to the last minute. You may be disappointed if we're full. We usually have space but you are better making arrangements with us in advance as you may have to go on a waiting list. We can't really hold a container or garage for weeks without some form of deposit. Q) Do you offer any other bespoke types of storage? A) We try to be a flexible business - Tell us what YOU need. if you need something slightly special, please try us, we will try to provide storage solutions based on your requirements. Sometimes we have yards or smaller industrial units. Q) Are there any hidden charges? A) NO - not at all. We ask for a months rent and one months deposit only. No extras. A) Carlisle, Cumbria. We have quite a number of sites and for security reasons, won't give out a list of sites ad hoc. All are based in and around the City centre providing excellent access. If we understand what you need and your specific requirements, we will invite you onto site to take a look where we have space readily available. However for your peace of mind, our sites are based around central Carlisle in gated CCTV compounds with a host of security measures, which won't go into exact detail on-line. Q) Do I have 24 hour access to the site? A) YES you do - you have a special access code for the main gate entry, meaning you can come and go as you please at whatever day and hour you decide. Q) How much do you charge? A) From £50 per month to around £150 depending on size - please check what we have. Workshops and retail units also have wide ranging price parameters, so please call us for quotes. One thing you need to be aware of is that like for like, WE ARE THE CHEAPEST AND BEST VALUE FOR MONEY facility in the area. Our purpose built sites offer unbeatable value for money. Q) How much space do I need to store my furniture? A) How long is piece of string - Varies - As a guide a typical 20 foot container will hold the contents of a two bedroom house, perhaps three. However, click on our General page, and scroll to the bottom of it. There you will find useful and helpful information. Q) Can I rack and fit out a garage or container? A) YES ! - so long as you don't drill hoes through a metal container. This is allowed. A) Our sites are gated compounds with professionally installed security fencing and more. We have live CCTV and a host of security provisions for your benefit. Shipping containers have their own steel 'lock boxes' protecting the main security padlock, and you can fit as many padlocks as you wish. They are constructed from heavy duty steel and can hold up to 30,000 Kg (30 tonne) in weight! Q) Do you provide a padlock and key? A) We can do - however, you are free to use your own padlocks giving you security and peace of mind that only YOU have access to your storage unit. Q) Why are you so affordable? A) We own and operate all our own sites i.e. we don't rent the land the storage sits on, but instead, we OWN our own storage sites meaning we can be very competitive and pass on costs direct to you. All our sites are kept exceptionally clean and tidy as a result also. We really do represent fantastic value for money. Q) Can large vans deliver right up to a container? A) YES -we have also had HGV'S - but contact us FIRST if you intend to have goods brought to site in one of these. 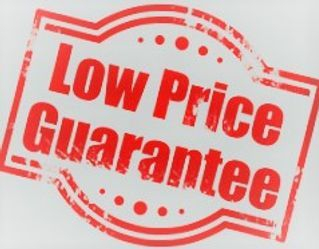 LIKE FOR LIKE - WE CONSIDER OURSELVES THE CHEAPEST in the area. Our purpose constructed sites ensure you do get the very best in service. Put us to the test and call us on 01228 590 397 to book space or make contact with us today! We guarantee you won't be disappointed.